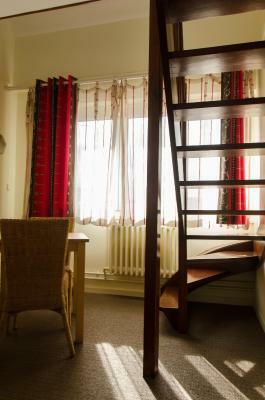 Lock in a great price for Hotel Du Centre – rated 8.5 by recent guests! Charming. Breakfast outstanding. Parking very convenient. Breakfast was good. Quality items but no cooked breakfast. Didn't bother me but it might affect some people. 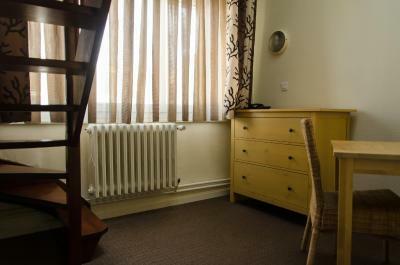 Central position, good and tidy room with good bed and excellent shower. We had a very good meal in the evening at the hotel. The room was comfortable, parking secure and the welcome very friendly. The restaurant was excellent, some of the best meals we have ever had. I could not recommend this hotel more, either as somewhere to stay or for dinner. Wimereux is a lovely little seaside town, best approached from the coast road from Calais rather than the autoroute. Another great stay at this super little hotel. 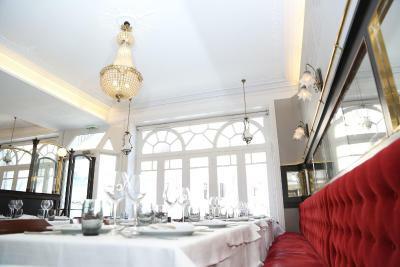 The owner and his team are really excellent and we had a delicious meal in the Brasserie style restaurant. Dog friendly, secure private parking and really convenient to get to, this hotel is brilliant. The restaurant was excellent, the food was very good, the staff were very helpful. Excellent place to stay after a long journey and channel crossing. Good parking, good clean room and friendly staff. Good value, will definitely stay here again. The staff were fantastic! 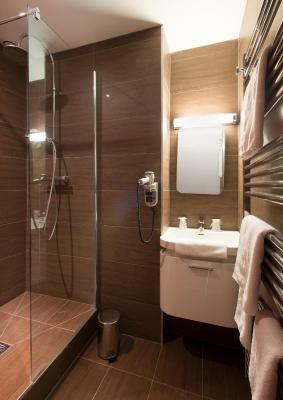 The bed and shower were just as we requested, an excellent stay. A niece friendly Hotel in the centre of the village / town. The restaurant served very good food at a reasonable price, My room (8) was a bit basic but clean. One of our top picks in Wimereux.The Hotel Du Centre is located 650 feet from the beach in Wimereux, 18.5 miles south of Calais. 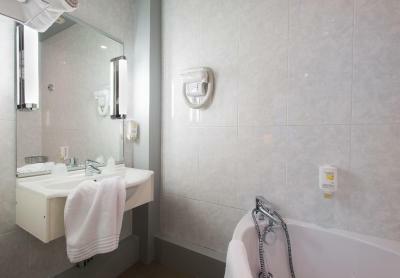 It offers guest rooms with private bathrooms, satellite TV and free Wi-Fi. Guests of the Hotel Du Centre can relax on the hotel’s shaded garden and patio, and enjoy regional specialties in the hotel’s restaurant. 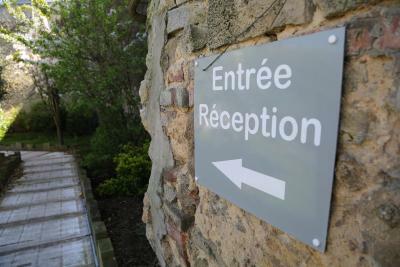 The Hotel Du Centre is 4 miles north of Boulogne-sur-mer’s port, which offers ferries to Dover. 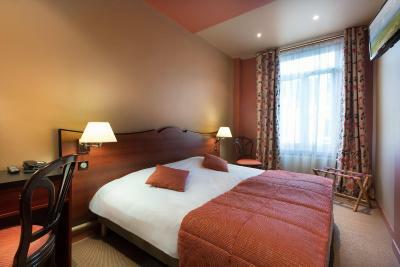 When would you like to stay at Hotel Du Centre? This room has free Wi-Fi, a TV and a private bathroom. It is simply decorated with cream colored walls and accents of color. 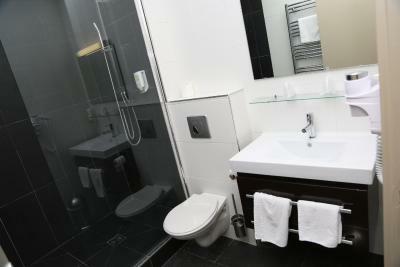 This room has free WiFi, a TV and a private bathroom with a bath. It is simply decorated with cream colored walls and accents of color. House Rules Hotel Du Centre takes special requests – add in the next step! 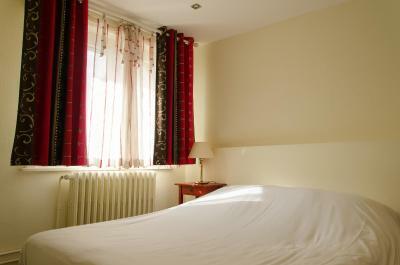 Any additional children or adults are charged EUR 12.50 per night for extra beds. Hotel Du Centre accepts these cards and reserves the right to temporarily hold an amount prior to arrival. Please note that from 6 June to 15 June 2017 included parking spaces will be limited. Please contact the property in advance to reserve a parking space. Contact details can be found on the booking confirmation. I love this hotel. My family has been staying here for the last 30 years. The warm welcome, typically French decor in the fantastic restaurant and the amazing food are only three of many positives of this hotel. Restaurant- food was expensive and not very exciting. Scallops were rubbery and not seasoned. Can't really find anything I didn't like. Location was great also the convenient parking. The staff also were as nice as possible. Consistently very good for over 12 years. Easy parking with a central location , close to the sea front and only 20 mins from the Tunnel The new extension with a lift is excellent and the addition of a good range of english TV programmes is a welcome addition. Slight smell of paint in the room, but, it had just been decorated! Limited choice of evening menu. Parking free in the centre of town. Late check out. Great breakfast and evening meal. Will stay here again. Staff are very helpful and friendly. Kettle in the room was a big plus for tea making. It was a grey overcast and chilly day. Sadly there was no heat on in the room when we arrived so it wasn't as welcoming as it could have been but the room did warm up to an acceptable level. Staff were polite and friendly, the room was clean, there was ample free car parking and there is no excuse for anyone leaving without having had a good breakfast! On sunday, the breakfast was lacking, there was nothing left to eat. On Monday, breakfast was oke. The croissants were good. The room did not look like any of the booking.com rooms. Kind of dissapointing for the money you spend on this hotel. The bed was oke but not great. My GF had neck pains because of the flat pillows. People are friendly. Hotel is situated in the middle of the city. Easy to find. Free parking, which is nice. The restaurant is always great and very good service with lovely staff have been many times en route to the South west .